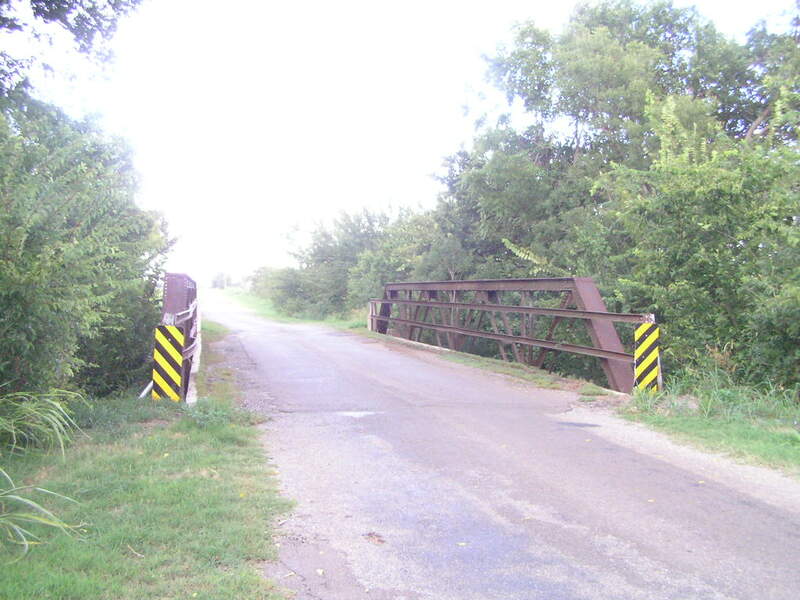 Six Mile Creek Bridge, Canadian Co. 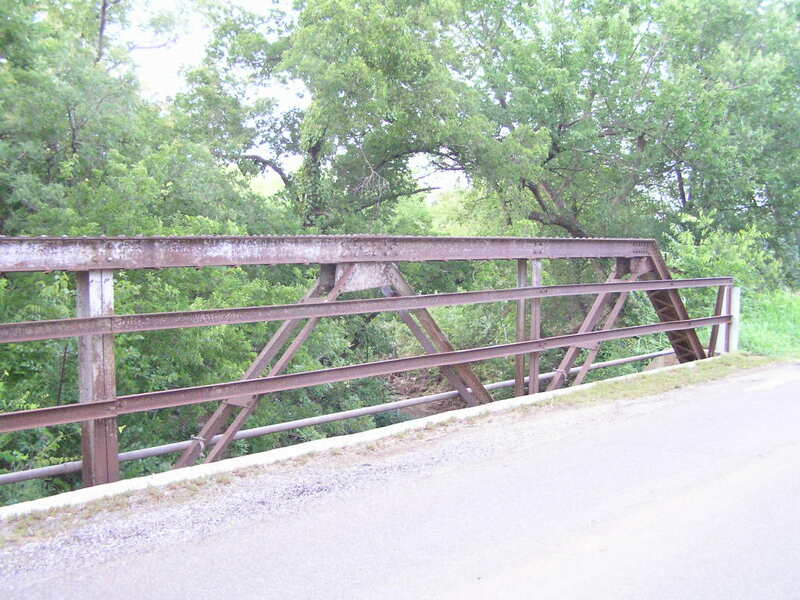 Built in 1917, this little riveted Warren pony truss carries Elm Street just east of El Reno. Above, looking east through the bridge. 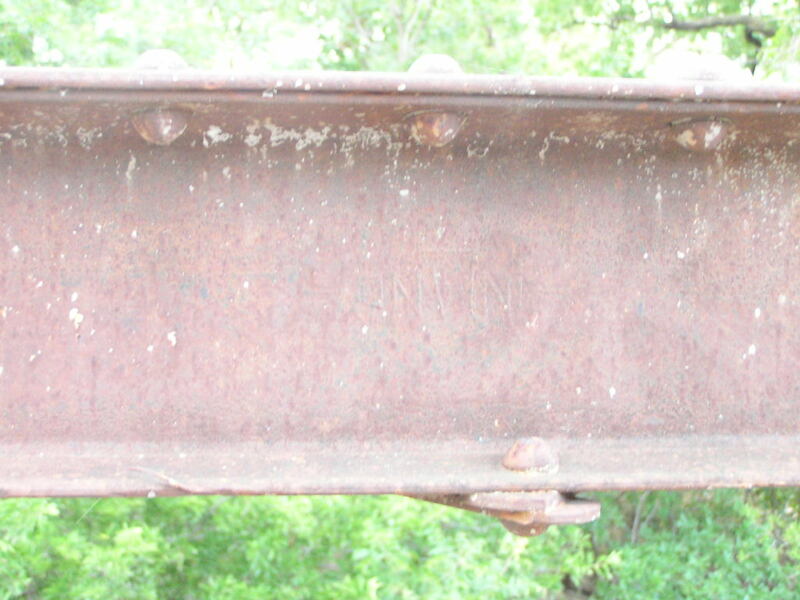 Below, close-up of the truss. 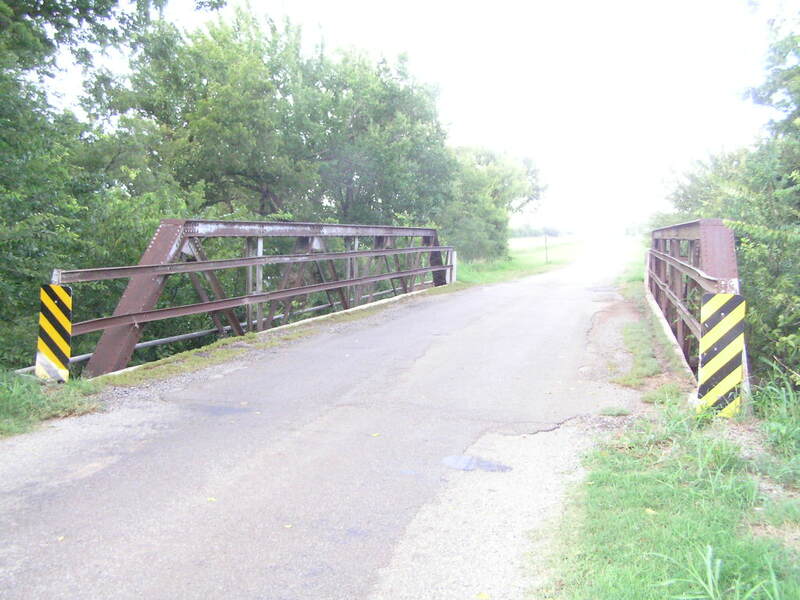 This bridge consists of 4 panels and is 60 feet in length. Above, Inland Steel Co mark on upper chord. Below, another overview of the span. This bridge is really in quite good condition and still has its original channel railings and concrete deck.